Kinkakuji, also known as the Golden Pavilion, is located at the foot of Kinugasa Hill in Kyoto. 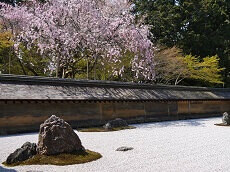 Originally designed as a villa, it was transformed into the Kinkakuji we see today after the property was bought by the shogun of the territory. 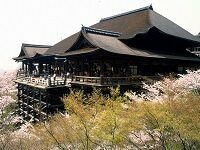 The building was then converted into a Zen temple upon the shogun’s death. The temple itself was burned down once in 1950 and was later rebuilt in 1955 with, what some speculate to be, even more gold-leaf coating than the original structure. Officially named Rokuon-ji, which translates to Deer Garden Temple, the nickname of the Golden Pavilion is derived from the gold leaf coating of the pavilion. 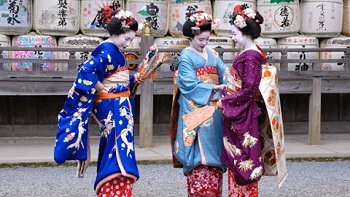 Today, Kinkakuji is designated as a National Special Historic Site, a National Special Landscape, and a World Heritage Site. 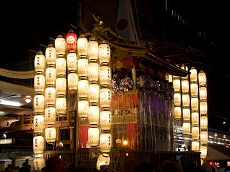 It is one of most popular temples in Japan, bringing a large number of visitors annually. 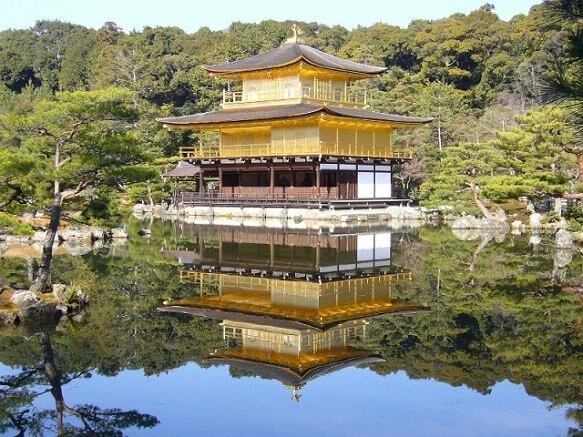 The gorgeous Golden Pavilion sits at the base of a large pond which surrounds the temple. 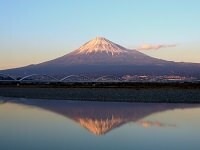 As beautiful as temple itself is the reflection of the temple on the pond, creating a breathtaking picturesque scenery. Visitors can take a walk through the path to see the temple from different angles, but unfortunately cannot enter the temple itself. While visitors are not allowed inside the temple, there are many paths that cover the walkway around Kyokochi Pond. 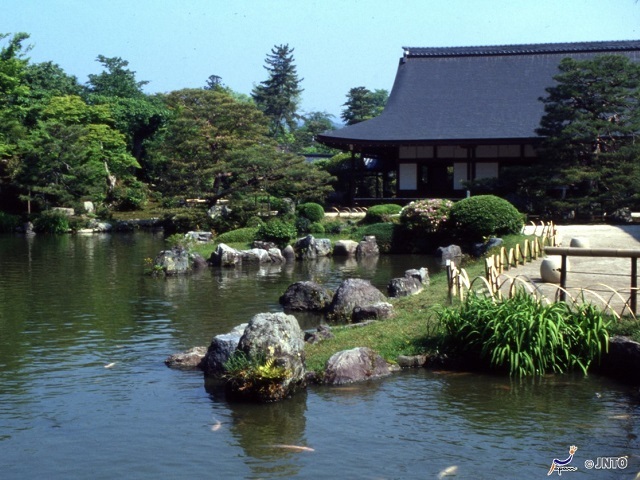 There are multiple islets and stones in pond to add to Kinkakuji's beauty, stemming back to an ancient technique at the time meant to enhance the temple's scenery. There are four stones in a horizontal line called Yodomari-ishi, meant to represent the sailboats bound for the Isle of Eternal Life from Chinese Mythology. Enjoy these beautiful formations and more of the small islets like Tsuru-jima and Kame-jima (Crane and Turtle island, respectively). 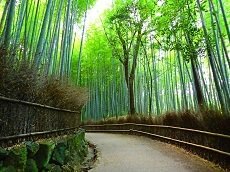 Enjoy the scenery along one of Kyoto's most popular temples! 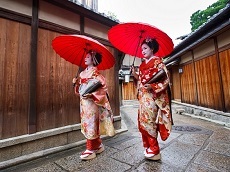 Tourists can also purchase souvenirs at Kinkakuji to remember their memorable Japan trip by. 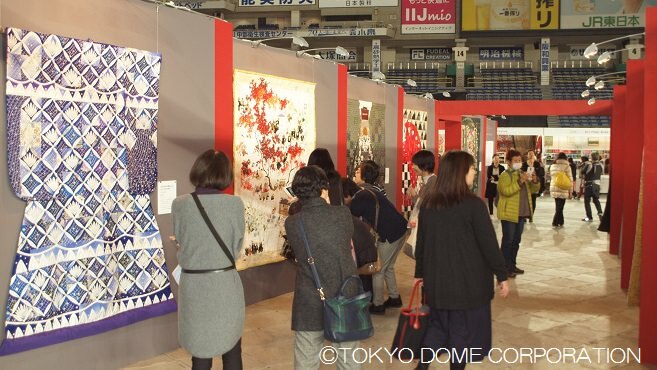 Popular souvenirs include sake with gold leaf, gold leaf cakes, keychains, and more. 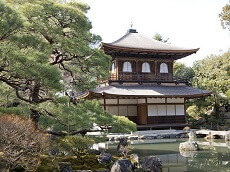 Kinkakuji also inspired the construction of Ginkakuji, the Silver Pavilion, also located in Kyoto. Unlike Kinkakuji, Ginkakuji is not covered in silver, but is named as so due to initial plans to cover the temple with silver foil. 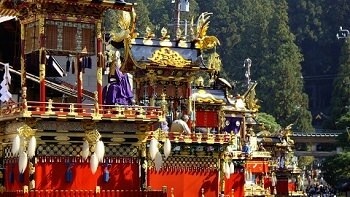 Today, Ginkakuji is officially known as Jishoji. 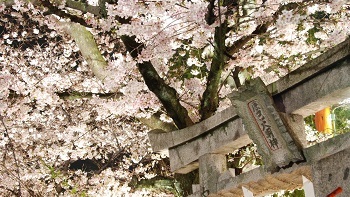 Don’t miss the chance to see this World Heritage Site by joining any of our Cherry Blossom tours or our Anime Japan Tour Packages for your next trip to Japan.